Volunteer duties include, but are not limited to: sorting food, courtesy clerk (which requires lifting boxes of food), client check in, sorting clothes & distributing clothes. Hours for volunteering are: Monday – Friday 9:00 AM – 3:00 PM Saturday 9:00 AM – noon. For more information on volunteering, please call (916) 685-8453 or email our Volunteer Coordinator, Deb Luck, at deb.egfbs@gmail.com. 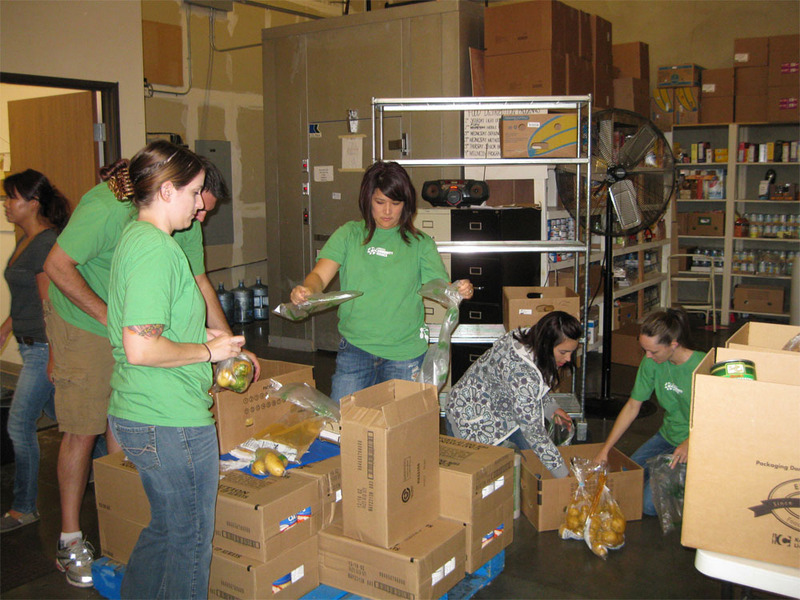 While Elk Grove Food Bank Services (EGFBS) has eleven part-time staff, a full-time director and operations manager, its work would not be complete without the contributions of its nearly 400 volunteers who work side-by-side with employees everyday to create a positive environment for clients. Every client is treated with Dignity, Respect and a Serving of Hope! Whether you’re a student, a full or part-time worker, or retired, there are many ways that you can assist the Elk Grove Food Bank Services …and your community. Even if you only have a couple of hours a month, we are grateful for your help! If you are asking how you can help – here are a few suggestions. Your help and energy is always welcome. Drop off donations at EGFBS. Our Facility is located at 9820 Dino Drive, Suite 140, Elk Grove, CA 95624. Organize a Canned Food Drive at your school, in your neighborhood, place of business, church or club. Click here to download the volunteer application!